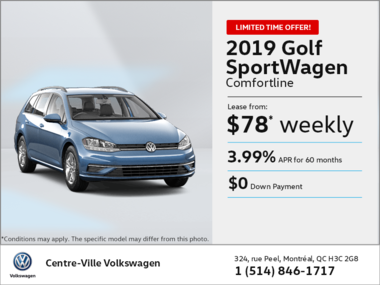 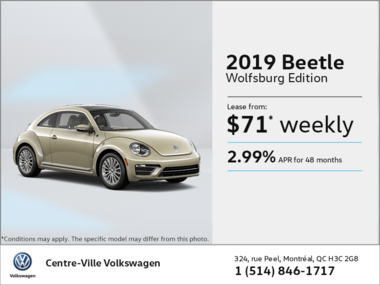 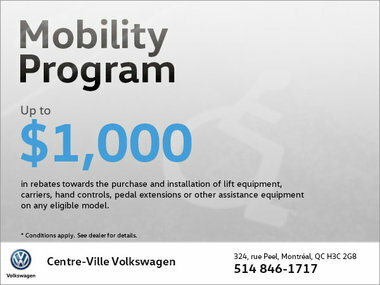 At Centre-Ville Volkswagen, we believe that customer satisfaction does not just mean the quality of our service or our dedication to every person who comes to visit us, but it also revolves around our ability to help our customers save money. 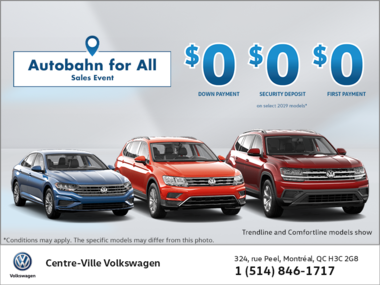 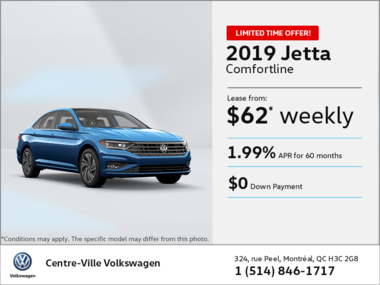 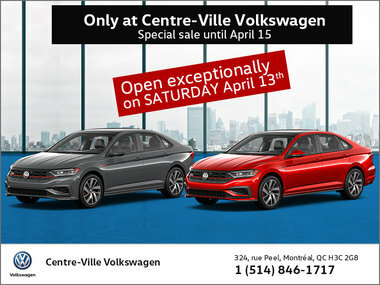 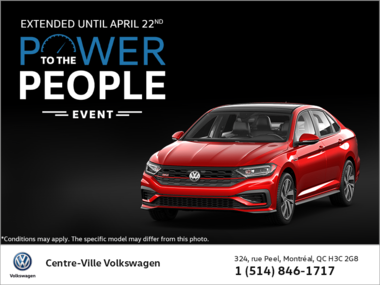 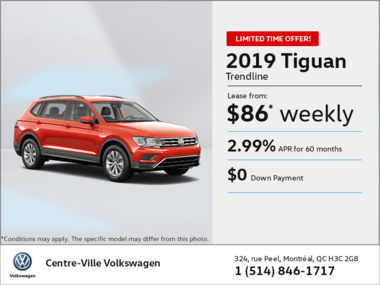 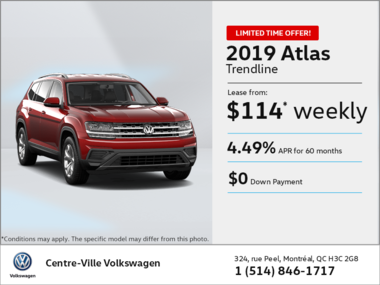 Whether you’re looking for a new or pre-owned vehicle, you benefit from special offers that make it more affordable than you think to buy your next car at Center-Ville Volkswagen. 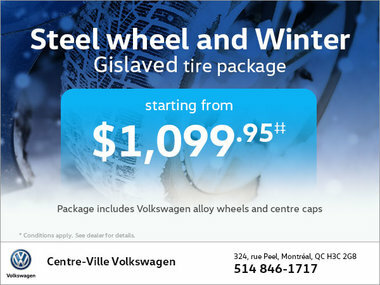 We also offer purchase discounts and a host of other discounts on our mechanical and detailing maintenance products and services. 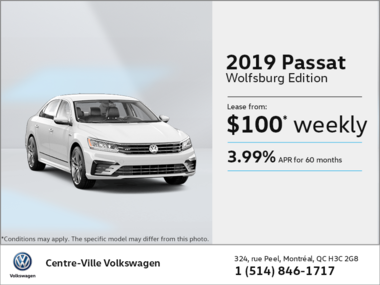 Our Volkswagen original parts and accessories departments also offer several promotions and discounts, including tires and seasonal accessories. 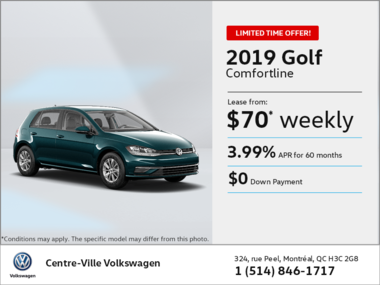 To find out more about our promotions and discounts, visit this page frequently as our special offers are updated regularly.